Until recently, Singaporean commuters had to use prepaid NETS Flashpay or EZ-Link accounts to hop on the MRT (the local subway) or the bus. Even though most debit cards on the island support either one of these payment systems, they had to be topped up separately, creating an additional burden for travelers — I remember the days when I lived in Singapore and had to go back to an ATM to transfer money from my current account to EZ-link after being denied entry to the MRT. However, thanks to a recent initiative by the Land Transport Authority, people can use contactless MasterCards to pay for transport. 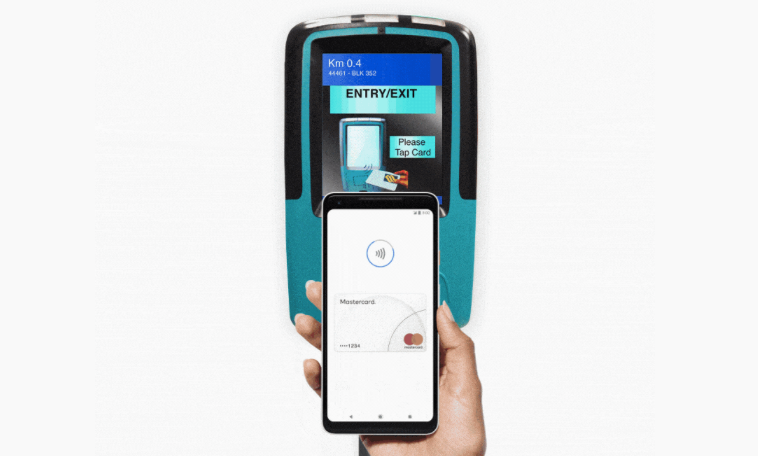 As such cards work with Google Pay, the latter seamlessly allows commuters to gain access to trains or buses without having to use a separate app. Using Google Pay to pay for your commute is as easy as unlocking your phone and holding it on the fare reader. You'll only have to link your MasterCard to your account, and you're good to go. There are no extra fees compared to physical cards, as long as you use the same one when entering and exiting the train or bus. Unlike other countries, the Singaporean system doesn't work with commuter passes but instead charges you a distance-based travel fee. This means you don't need to pay for an additional subscription and foreign MasterCard holders should also be able to go through the gates. Visa cards aren't supported for the time being, but LTA announced they will be later this year.